Maybe a Little Too Used? We had a call the other day from someone who wanted to buy a used trade show booth on Ebay. He was hoping we could produce new graphics for it, and he would have a booth at a bargain. This can be done. But you need to be careful. First of all, it’s easy for a pop-up booth “skeleton” to get bent out of shape, and almost impossible to straighten them. If there are missing pieces, like the end caps on this booth, that will be an extra cost to replace. God help you if there are broken connectors, missing magnets, etc. The facts are that the actual structure is not the expensive part of the booth- it’s the graphics, shipping case, and the lights. We charge about $900 for a set of four replacement panels for a booth like this, and $1850 for a full booth. If you buy the used booth for $500, you saved $450 if everything goes right. That doesn’t usually happen, though. 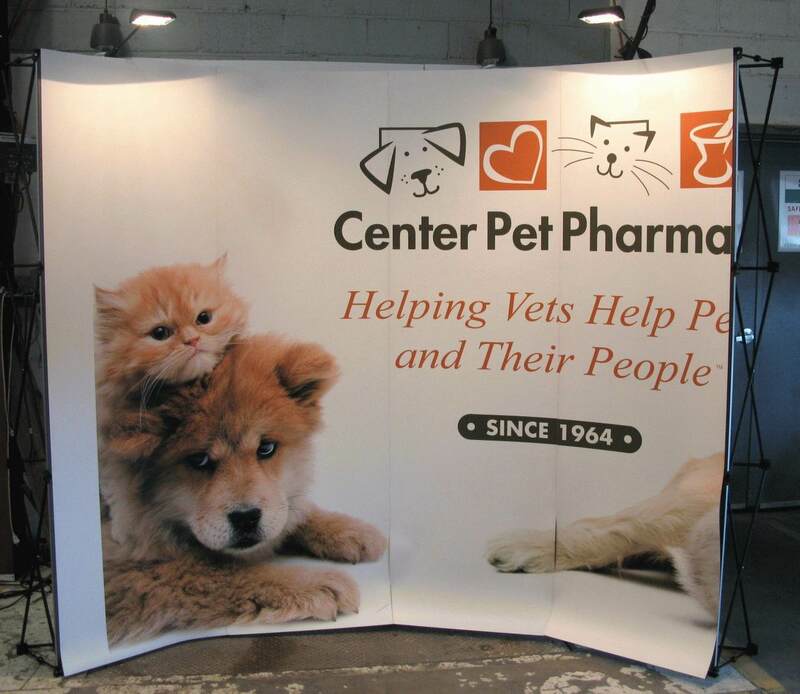 If you are really on a budget, we suggest you buy three banner stands to create a backdrop. You can do three of our standard banner stands for $957. They will be almost nine feet wide and will take you a few minutes to put up. Best of all, they’ll be brand new. This entry was posted in Banner Stands and tagged used display booth, used trade show booth. Bookmark the permalink.